Sometimes, just for a moment, everything seems in place. For this brief spell of time, a supernatural force seems to be at work. There is equilibrium in the universe. It might be referred to by some as an epiphany, an insight through the divine. Here at the top of the mountain, Gregory North finds such a moment. Gregory’s mountain may be metaphorical, as might the moment, but briefly space and time conspire to offer him that sentient feeling of arrival. He is where he wants to be. It cannot last. Destiny cannot allow contentment. All actions are bound to burst the bubble. So, how does Gregory find himself at the summit of the metaphorical mountain? What is his story? Gregory is born into a modest but steady background in a small town in the south of England. From an early age, he displays an inquisitive nature and a creative spirit. He passes all the right exams with appropriate distinctions and wins a scholarship to a revered English university. His tutor describes him as a genius. He quickly lives up to this weighty kudos. He invents a life-saving product that the world needs. The life-saving product not only makes him at twenty five the youngest person to win the Nobel Prize for Medicine, it makes him a multi-millionaire. Money does not necessarily buy you love or indeed happiness, and fame is notoriously fickle. Nevertheless, Gregory meets a beautiful woman who he feels he can communicate with on a spiritual level. He marries her. Fairytales proliferate. Clichés abound. He has his crock of gold. He remains level headed. There is equilibrium in his universe. The fame of a Nobel scientist is low key. You would not know who Gregory was. His name is never in the papers. Where there is light there must also be shadow. They are interdependent. Gregory might like to stay exactly where he is but life insists on change. Change is the only certainty. Other forces are at work. It can only be downhill from here. There are different paths down the mountain. 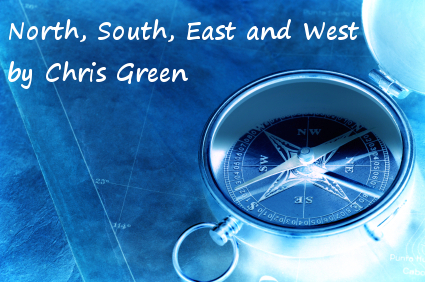 The west would be the best but Gregory North could go for the east putting himself in peril. The compass points may be metaphorical. The trouble that lies ahead may not be metaphorical. Crime can take many forms. The view that crime is the province of those that do not have a large enough stake in the system, or that there is some biological or psychological explanation that accounts for deviant behaviour misrepresent the evidence. Criminals lurk everywhere. There is one not far from you now. There are many in the vicinity of Gregory. He is right in the firing line. They want to plunder his ideas, hack his computer, or forge his documents. They want to steal his money, burgle his house or steal his identity. They want to beat him up, burn his house down or kidnap his wife. The descent begins. Gregory gets a phonecall. He does not recognise the voice. It has been disguised by software called geocrasher. You can download geocrasher for free. It makes your voice sound like a robot. The robot voice tells him that they have kidnapped his wife. The caller does not specify what the demands are for her safe return. He says he will call later. He tells Gregory he is not to contact anyone about the call and he should not try to trace it. The whole strategy is calculated to cause maximum uncertainty, something that the kidnappers have been working on. This is not something that should be happening to a Nobel Prize winner who has invented a life-saving product that the world needs. Gregory’s wife is Italian. She is called Allegra, which means happy. She is not happy, as she is locked in a windowless space miles away from home. She is being held captive by two ruthless villains. One of them seems to do all the talking. He barks orders at her. His accent is hard to place but may be eastern European. The consonants seem to crowd the vowels. His Heckler and Koch handgun has the look of one that has been fired. He is covered in tattoos and has a scar running down one side of his face. He is disarmingly tall and has to stoop to get through the door. His drainpipe trousers are tucked into a pair of jackboots, somehow making him look even taller. He does not look like he would blend in easily anywhere. The stocky one wearing the camel coloured overcoat with the fur collar and the large white Stetson does not say anything. He just slaps her now and again to establish his authority. His eyes seem to point in opposite directions. His skin is pale, like an albino. Perhaps, Allegra thinks, he may be wearing a mask. She is not sure which of the pair is the more sinister. She is terrified. Psychology is an important weapon in the kidnapper’s arsenal. Abduction can be viewed as a transaction. The relationship is between captor and prisoner, owner and chattel. The captor holds absolute power. He knew the moment was coming. The captive who had no idea the moment was coming holds no power. To show his cards too soon can take away the obvious advantage in negotiations that the kidnapper has. The mechanics of human nature is something the kidnappers have been working on. Gregory waits for the follow-up call with the ransom demand, but this does not materialise. He waits by the phone. He checks his emails and his social media. He even checks the newspapers, but the Hollywood celebrity divorce and the resignation of the England football manager over match-fixing allegations have kept everything else of the front pages. But even if it got out, it would not be here, would it? Nobel prize winners are not household names. The finger through the mail comes as a shock to Gregory. This is not what he expected the next step to be. He thought that there might be a phonecall asking him to meet at a remote location with a case full of unmarked notes, as it is in films. This is much more horrifying. He is violently sick. He cannot help himself. It is Allegra’s finger. Whoever has sent it wants him to believe that it is his wife’s finger. It is Allegra’s finger, isn’t it? He cannot be sure. It is the little finger of the left hand. It looks about the right size. There is no message to accompany it, but an hour later the robotic voice comes on the line. Gregory attempts a reply but the call ends. How can things have changed so much in just twenty four hours, he wonders. Allegra has not told Gregory she is pregnant. She was saving it for the coming weekend when they would be away together. They were going to their favourite hideaway, the one that no one else seemed to have discovered. The fact that Gregory does not know she is expecting makes her situation seem all the more wretched. There are two lives at stake. Jackboots and Overcoat, of course, do not know. It would probably up the ransom demand if they did. Allegra has no idea what their plans are. They have not mentioned the reason for her internment or what any ransom demand might be. She is in a dark room, about ten feet by ten feet. The room has a hollow sound. It could also be below ground level. Although she was blindfolded, she recalls going down some stairs when they arrived. She is no longer blindfolded but she cannot see anything except when her captors visit. She can hear them approaching now. She shivers with fright. Gregory’s phone rings. He picks it up. The scrambled voice issues a demand. ‘Twenty four hours is not long to come up with five million,’ Gregory protests. ‘That will be impossible,’ says Gregory. Gregory mumbles something. He is not sure what he is saying. He has the idea that he needs to keep the conversation going. To what ends, we can only speculate. No-one is tracing the call. The phone goes dead. Black clouds tower in the morning sky. There are distant rumbles of thunder. The forecast is not good. Gregory takes his portfolio and every form of identification he can muster to his local bank branch. He has never actually visited the bank before. He knows nothing about banking. He is not optimistic that he will be able to liquidate his investments, but he feels he has to try something. His wife’s captors seem to be uncompromising, but at this stage, he does not want to risk going to the police. Mr Knock, the bank manager is unavailable without an appointment and he is told there is a three week waiting list. Mr Hater, the deputy bank manager sits him down and bangs on about money laundering. Every question or request that Gregory makes is greeted with a round the houses no. Mr Hater is full of suspicion. He clearly knows that something is amiss, but will not come right out and say so. Gregory gets up to leave. He wonders if Mr Hater will call the police as soon as he has gone. He returns to the Pay and Display to find his Lexus has been stolen. The rain is torrential now. Sergeant East seems more concerned about the theft of the Lexus than about Allegra’s kidnapping. ‘Which model is that, Mr North?’ he says. Gregory tells him it is the Lexus LS. Jackboots holds Allegra down. Despite her struggles, he begins to force her rings off over her swollen knuckle. It is only when they are being taken away that Allegra realises that rings are more than just tokens of affection. They represent her marriage. Everything that Gregory and she have together. Ties that bind in this way are sacred. She experiences the symbolism of the loathsome act that is taking place. It feels to her like murder. She screams. Jackboots covers her mouth with his hand. Her instinct tells her she should bite it. Quick as a flash, Overcoat pulls out his pistol. It is now pointing at her. She has never been more terrified. A trickle runs down her leg. Jackboots has the rings in his hand now. He holds the engagement ring up to catch the light that filters through the open door. He forms the impression that it is a valuable one. Allegra knows it is a valuable one. It is a single stone Cartier diamond. ‘You think so,’ barks Jackboots. ‘You don’t know how much we are asking for, lady.’ Overcoat stands there, pistol still raised. Unlike the pistol, his eyes still seem to point in both directions. ‘I could speak to him if you like and tell him that I am safe.’ Allegra bursts into tears once more. Using his pistol, Overcoat motions her over to the back of the room. Without further ceremony, they leave. She is thrown into darkness once more. Things, according to historian Thomas Fuller, seem darkest before the dawn. Is he stating the obvious or is this axiom more profound? The ring finger with Allegra’s engagement ring and wedding ring on it arrives by courier, early next morning. It is freeze wrapped in muslin inside a small cardboard package. The courier does not have the sender’s address. He seems a bit vague on everything. Gregory suspects he is not a real courier, but before he has chance to quiz him further he has disappeared on his Honda. Gregory does not have a car to pursue him. Max Tempo of The West Detective Agency is not what Gregory expects a private detective to look like. The West is the Best is the agency’s slogan, but the diminutive middle-aged figure with the receding hairline, the crumpled blue linen suit and the red and orange striped sunglasses that the agency has sent does not seem to fit with this image at all. As he introduces himself, Gregory who is six foot tall towers over him. Max cannot be more than five foot two. ‘Any sign of a struggle?’ Max asks. ‘Now you come to mention it, no,’ Gregory says. Gregory says he does not. In no time at all Max has scanned the emails, recent documents and pictures. Nothing remarkable shows up. This is often what he finds in cases like this. The good detective has to come up with more imaginative methods, he says. Meanwhile, he has wired up a device to record the phone. Time, of course, is of the essence here. Gregory is impressed with the speed that Max works. First impressions can be misleading. He lets Max know. ‘It’s not every day I get a Nobel Prize winner as a client,’ says Max. ‘How do you know that?’ asks Gregory. Gregory explains the phonecalls and how he is unable to cash in his portfolio. Max nods, while he examines the two fingers. He draws no conclusions from these. He is more interested in the diamond ring. Why have they sent it back he wonders when it could be worth a hundred thousand in itself. It would be difficult for the observer to guess the power relations between Jackboots and Overcoat. Although Overcoat does not, perhaps cannot speak, they communicate effectively. They are a good fit as a team. They operate with a strange telepathy. Perhaps Overcoat has peripheral vision and his function in the team is to be watchful. The observer would not be able to pinpoint their country of origin. Jackboot’s accent might make Romania favourite. His tattoos too are in an Eastern European language. If you are looking for sartorial clues, you wouldn’t know where to begin. There is something theatrical, perhaps filmic about their bizarre appearance. In everyday life, they would be as inconspicuous as a pair of tarantulas in a bowl of fresh cream. All in all, they are an enigma. The indications are that, as in many kidnapping cases, the motive is money. It is time for Jackboots to make another phonecall. He once again makes it over voip using geocrasher. Allegra wonders how it has come to this. How has she moved from her work with Dior and Dolce Gabbana in the high flying fashion world of Milan, weekends on Lake Garda and skiing in Cortina D’Ampezzo to being held captive in this darkened room, not knowing if she will live or die? It is quite a descent. It all started when she came to London for a fashion shoot. How had she come to meet a Nobel scientist? She didn’t have the slightest interest in science. She was into the arts. Gregory might cut a dashing figure but perhaps she should have found someone that looked after her better. Why hadn’t he come up with the ransom? It was hours since they had taken the rings as a bargaining tool. Why had she fallen for him? Certainly he had a lot of money, but she was not exactly poor herself. The fashion work brought in a decent income. And she gave all this up. They didn’t even socialise that much. He was always working on some paper or had a meeting with the board. If he hadn’t been working, these two murderous villains would not have been able to just walk in and bundle her into the van. She thinks she has been here now for nearly two days. She is hungry. She has had nothing but water for the duration. Even if she could find a way to relax, she cannot sleep. The room gives off a continuous hollow sound like amplified tinnitus. Gregory says that he is working on this. Max has advised him to do so. He has said that you should never show defiance in such a situation. Gregory says that he will do his best. On that note, the conversation ends. The green light on the device changes back to red. ‘That was great,’ says Max. ‘Watch this! He presses a couple of keys on his device and plays the recording. It is now a proper sounding human voice. ‘ModulatorPlus. Great little app,’ he smiles. The voice, they both agree does sound Eastern European. Max explains that Eastern European languages have consonant clusters so they tend to shorten the vowels when speaking English. To Gregory, it just sounds Eastern European. Max takes a gigantic pair of Sennheiser headphones from his bag to listen more closely. His bag must be dimensionally transcendental, Gregory thinks. He appears to have a whole workshop in there. Max says he is listening for background noise. He closes his eyes in concentration and begins playing with the frequency sliders on the side of the headphones. Finally, several minutes later, he takes them off. Gregory wonders how Max can tell that the transit van is blue but he doesn’t like to ask. Iancu Emanuel Constantinescu’s career as a lion tamer ended when circuses stopped using wild animals. The Romanian International Circus, which had built its reputation on dangerous stunts, folded. Iancu’s appearance, the legacy of years of taming ferocious big cats and a long relationship with Silvia Daciana Vacilescu, the circus’s tattoo artist, left him with little prospect of getting a job. In a word, he looked scary. He felt he might as well use his intimidating stature to frighten people. Kidnapping seems to be the obvious place to use his skill set. His friend, Dragomir Stan Antonescu had been a clown with the circus. As he was mute, his chances of getting a job when the circus folded were also slim. Dragomir’s lack of speech was however compensated by remarkable eyesight. He had long been collector of handguns and was a crackshot. It seemed natural that he should team up with Iancu. The only way that you can learn kidnapping is by going ahead and doing it. There are no training manuals or kidnapper’s colleges. If you get it right, you can make a good living and you do not need to work long hours. Iancu and Dragomir start small by kidnapping a pub landlord in a popular seaside town and asking for £500. They find that this does not cover their expenses. Their next outing is a football manager of a Championship team, where they manage to get £5000. They brush up their technique by watching a number of kidnapping films. After watching Fargo, it occurs to them that it might be a better idea to abduct a partner rather than the target himself. They get £20,000 this way by kidnapping a minor celebrity’s wife. They manage to convince the celebrity to pay up when they send him a lock of her hair. Allegra is only their fourth victim. They are thinking of asking £50,000 when they find out that Gregory is an incredibly rich man. He has reaped the benefits of inventing a life-saving product that the world needs. To up the ante, Iancu feels that they need to employ scarier tactics, so he purchases a preserved hand from Stelian Serafim Albescu, a former reptile trainer with the circus who is now working as a mortuary assistant. With so much inexperience the potential for disaster is immense. ‘How do we find the blue van and what do we do if we find it?’ Gregory asks. Max packs his bag, cracks open a new pack of chewing gum and off they go in Max’s grey Yaris. Allegra’s miscarriage is sudden. Jackboots and Overcoat arrive just after it has happened. She is covered in blood. At first, J and O have no idea what has happened. It slowly dawns on them both. She seems hysterical. They do not know how to handle the tirade of verbal abuse she subjects them to. They sense that pointing guns is not the appropriate response, but are not in a position to offer understanding and tenderness. They back off. They can wait in the van. It is parked just down the road by the railway station. They can go back in a few minutes. Allegra, they reason, will have calmed down by then. Max and Gregory arrive at the railway station car park just in time to see Jackboots and Overcoat getting into the blue van. There is only one blue transit van. They must be the captors. What an odd looking pair they are though. ‘How’s that for timing,’ says Max. He parks the Yaris a few bays behind the van, in preparation for it driving off. He can follow at a discreet distance. The van, however, does not move. Although the van is fifty feet away, Max manages to rig up a device up to listen to their conversation. ‘A friend of mine borrowed it from the secret government base,’ he explains. Jackboots and Overcoat’s conversation comes through loud and clear. Unfortunately, they are not speaking English. ‘It will come with a translator in a couple of years,’ Max says by way of apology. Only one voice seems to do the talking. It is the same voice that made the phonecall earlier. The one wearing the overcoat and the Stetson seems to be nodding or using sign language. Had Max’s hypothetical translator been operational the conversation they would hear would go something like this. If Max’s hypothetical translator had been operational, the substance of the phonecall that Gregory receives on his mobile would not have been so unexpected. As it is, he feels he has been let off the hook somewhat. He is sure that Mr Hater will let him have ten thousand pounds from his assets. Why, he wonders, have they reduced the sum so drastically. It feels like bargain basement. No-one makes a move. Max wants to stay put so as not to lose sight of the villains. Gregory thinks that he should probably be at the bank, but is dependent on Max for transport, and it seems J and O are in no hurry to move business along. Max has been in stakeouts before. He understands the terrain. A good deal of patience is necessary. You need a cap to pull down over your forehead. And a pack of cigarettes. Gregory is a stranger to the underworld, university did not prepare him for this. To him, the underworld is something that Orpheus got himself into in Offenbach’s operetta. Gregory does not have a cap to pull down over his forehead. And he has never smoked. Jackboots and Overcoat sense that they still have a lot to learn. Things are not going as planned. And now a police car has drawn up a few cars away. How long will it be until they spot the stolen blue van they are in, or for that matter the stolen Lexus 460 about a hundred metres away, and who are those people in the grey Yaris? Are they watching them? Miscarriages can be psychologically damaging. The attachment to the foetus it is said begins very early into pregnancy. Women are often reported to lose themselves after such an event. Given the circumstances of Allegra’s loss, this might be the expected consequence, but she finds that there are immediate and more profound results of this cruel termination. Her soul has gone, her spirit has parted company with her physical body and disappeared into the ether. When she screams it is not now her that is screaming, but something that is happening as a result of a bodily impulse. She does not inhabit the scream. It is no longer her scream. It is not her who finds that she can push the door to her prison open, where Jackboots and Overcoat have not secured properly. It is not her who finds herself staggering up an unfamiliar street. She finds herself in the vicinity of a railway station. Something inside tells her she should recognise it, but she can’t connect with this part of her. The link has been severed. There are a lot of people about. She spots a blue van and a police car. The police seem to be asking the people in the van to step out of it. ‘My God! There’s Allegra,’ shouts a shell-shocked Gregory, making a move to jump out of the Yaris. This is a pivotal moment. It could go any way. It depends how competent the police are. It depends how desperate Jackboots and Overcoat are. It depends on whether Max has anything up his sleeve. Certainly Max is aware that the kidnappers would recognise Gregory, but perhaps he should have let Gregory go and talk to the police. Is it his professional pride that is urging against this? Max seems to have subdued Gregory for the moment and they duck down out of sight. J and O seem reluctant to get out of the van. Allegra lurches on zombie-like and disappears into a throng of people emerging from the station. Gregory and Max’s attention is drawn away by a squeal of tyres and a scattering of police officers. In a daring attempt at escape, the blue van speeds off. With a squeal of tyres to match, the police car gives chase. By the time Gregory and Max focus back on the station, Allegra has disappeared out of sight. There are hundreds of people now, jostling one another for position around the station entrance. Why hasn’t Max got an app on one of his devices that can find someone in a crowd? As he and Max dash here and there searching for Allegra in the bustling station, Gregory wonders how he has been subordinated to such fickle fortune. He had risen to elevated heights with so little effort. He had never known struggle. Doors had opened easily. His discovery of a life of a life saving product that the world needed had felt as if it were just plucked out of the air. Fortune had up till now always favoured him. He had not even had to put effort into his dalliances. Allegra had fallen at his feet. What in the world is happening to deliver such a dramatic turnaround? The station has a staggering seven platforms, each one swarming with restless passengers. Trains are arriving from everywhere. Trains are leaving to go to all points of the compass. Allegra finds herself on one of the trains. She does not know where she is heading. She may be going east or she may be going west. It does not matter to a person who has no soul. People stare at her. They do not understand what has happened. They make up their own stories from the true life magazines in their heads. Everyone keeps their distance. Gregory North continues frantically to search the station but cannot spot her. He will never find her. He has lost her. He will continue his way on a train of his own. It will be heading south.